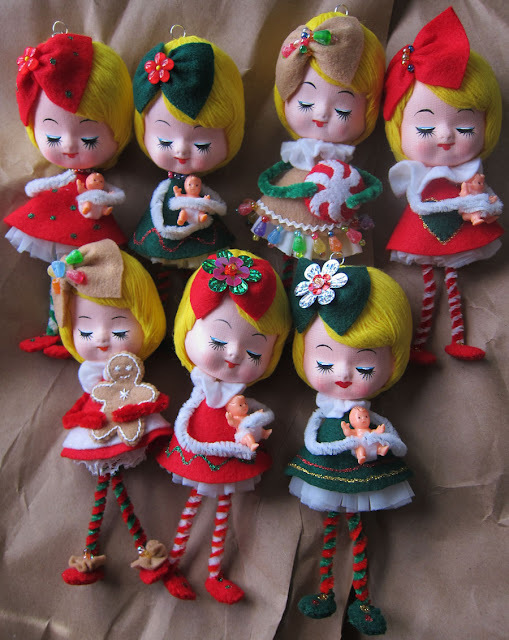 I have a ton of these old doll heads and I made some into ornaments. :) I seen similar ones somewhere on the internet a few years ago. I'm not sure who made them. And I'm working on a big batch of candy cane horse ornaments. I'm making about thirty of them.